Unconstrained by legal wording, a wedding celebration is much more personal. Make your day more memorable with a ceremony that is as unique as you are. Let us help you create a wedding celebration that reflects your love for each other. You will still need to sign a marriage certificate in a ‘simple ceremony’ at your local register office for your marriage to be legally recognised. But this can be done before or after the wedding ceremony. There is no official obligation as to when a simple ceremony takes place, but your marriage is not official without it. 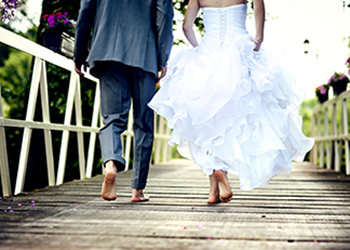 Your wedding celebration can be as formal or informal as you want it to be. Unlike a traditional ceremony, it doesn't have to take place in a registered religious building (church, synagogue, etc), register office or a premises approved by the local authority (like a hotel). 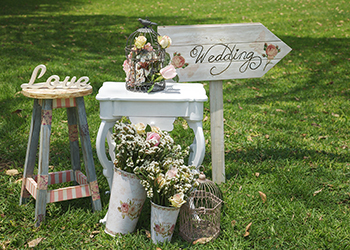 With a wedding celebration, the ceremony can be anywhere you wish, whether that is at home, in a field, or any venue that will allow you to use it. If your dream is to get married under water, on a train, in a circus big top or anything else you can imagine, it is possible to make this dream come true! You can include your favourite music, a reading that has special meaning, religious content like a prayer or blessing, a symbolic action like lighting a candle and almost anything else you may desire to make your day perfect. We work with you to create your ceremony.